Want to buy the Best Massage Chair? There are a handful of different brands that dominate the massage chair market. Among them is the Fujita. Fujita has a legacy of excellence and they continue to create and distribute products that represent this attribute. Not only that, though, but Fujita also develops products that are equipped with designs that make them modern and beautiful. Among the most impressive of these chairs it eh Fujita KN9003. 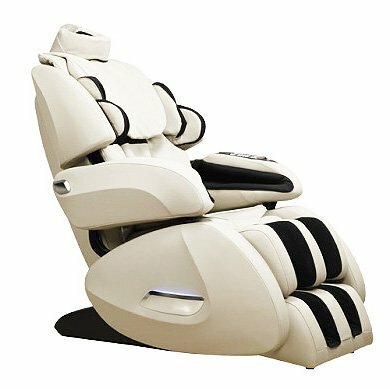 The Fujita KN9003 has been said to create the perfect massage. Though this may be a strong claim, the features on the chair are very impressive. The following outlines these different features in order to help you when considering this chair for purchase. One of the greatest things about this chair is that there are different programming selections based upon gender. This is important as men and women have different physical needs. The chair takes this into account and has two different settings: one for males and one for females. The strength of the massage and the locations of emphasis differ from one program to the next. One of the best features of the Fujita is that it offers a stretch feature. This feature allows for the lengthening of the muscles through the use of the roller system. There are rollers throughout this machine that do amazing things to the spine. It helps to lengthen the body through smooth motion and really focuses on relieving tension in the vertebrae. As such, it is great for those that suffer from lower back pain or pain in that region in general. This feature is especially highlighted when a user chooses the Thai massage option. The rollers, however, do not stop at stretching this region of the body alone. The feet, too, benefit from the rollers. This is because the rollers are placed in this region and can help to release tension in a region of the body that experiences a lot of wear and tear. If a user experiences foot and ankle pain, this is a great chair to help with relieving the pain of this region of the body and is a must on the review list. Air bags are an essential part of any massage system. They are, in essence, the backbone of the massage. Air bags fill up and are what distributes the pressure and massage feeling that individuals crave. The air bags in the Fujita KN9003 do not disappoint and are focused on really helping with relieving tension in numerous places on the body. While air bags are located throughout, it is not just the bags themselves that are helpful. It is the positioning. The Fujita has paid attention and has strategically placed the massagers in this system. They are located in a V-shape. What this means is that there is an increased focus on the lower region of the body, highlighting the needs of the hip region. This allows for relief of tension in this region. Massages are great on their own. They are made even better when there is heat that comes along with that. The Fujita has provided users with an option for a heated massage. Heat sensors throughout the chair will increase the intensity and effectiveness of the massage by providing increased temperature, when selected. This heat helps to really relax the muscles and the body and provide a more effective massage. This feature is another reason why the Fujita KN9003 is such a popular chair and why it is so effective in creating a well-rounded massage. The Fujita KN9300 is a must-see chair. It has all of the features and factors that a chair should have in a unique style design. The chair is large but can be perfect for the right home or office. Geared toward those that want a true and real massage just like that in the spa, this chair is popular for good reasons, as expounded upon above.